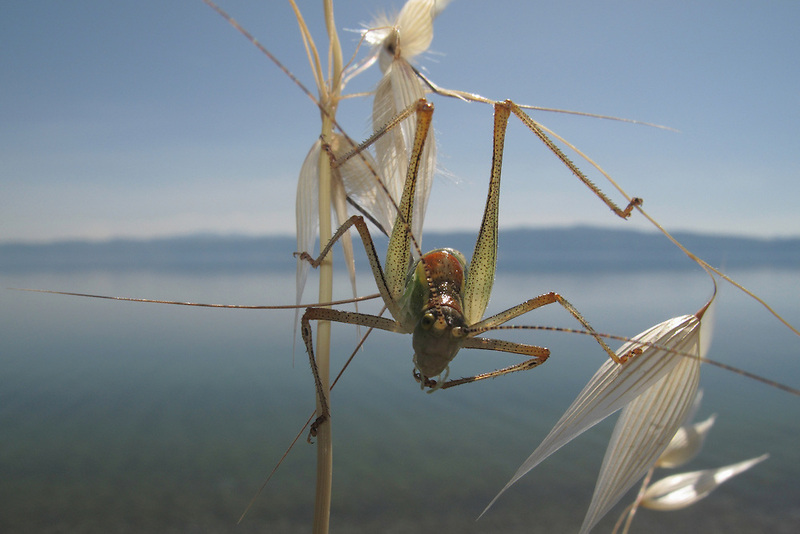 Ephippiger bush-cricket, Ephippiger ephippiger, straddles Oat grass, Avena sp. Lagadin region. Lake Ohrid (693m).